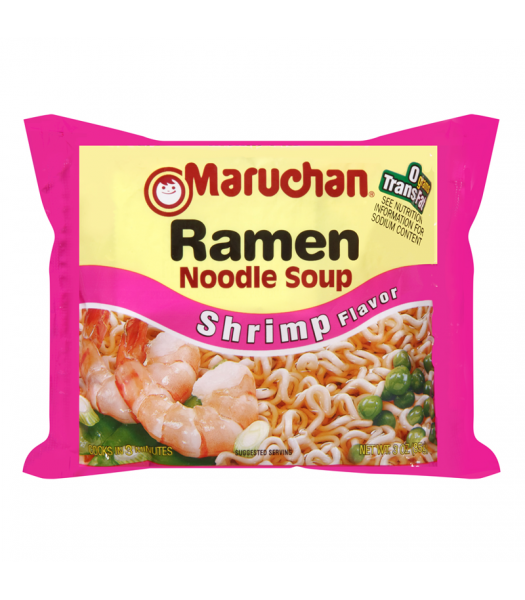 Create a satisfying meal in minutes with this packet of shrimp flavoured ramen noodle soup! 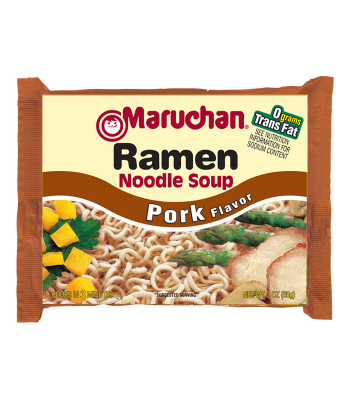 It's full of seasoning for amazing flavour, is trans fat free and totally satisfying! This delicious savoury comfort food can be prepared in just 3 minutes, and you can vary the recipe by adding vegetables or meat to the instant noodle soup and make it your own! 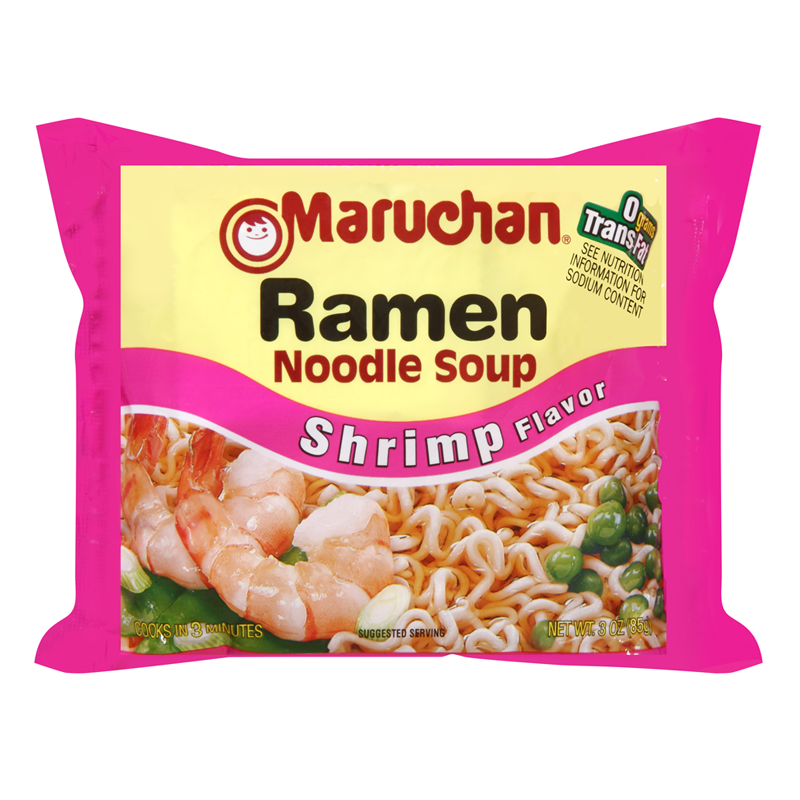 You could even use the noodles to create Asian inspired salads and sides!